All Purpose Cleaner & Disinfectant is a natural action, hard surface disinfectant that kills bacteria and viruses and eliminates odour-causing germs without ammonia or bleach. The unique solution delivers effective cleaning and disinfection using only plant-based and biodegradable ingredients, making it safe for users and the environment. Ideal for cleaning, disinfecting and deodorizing countertops, sinks, cabinets, appliances, floors, showers, tubs, toilets, pet areas, children's items, waste bins, diaper pails and athletic gear. Fresh Productz LimeFresh Extra Strength Dish Detergent Booster 750G Fresh Products Lime Fresh extra strength dish detergent booster fights the toughest film, residue and hard water spots, and leaves your dishes and glassware sparkling clean. Our formula powerfully combats stubborn film and residue and is designed to work in all hard water conditions. The extra strength power works on even the toughest problem areas. 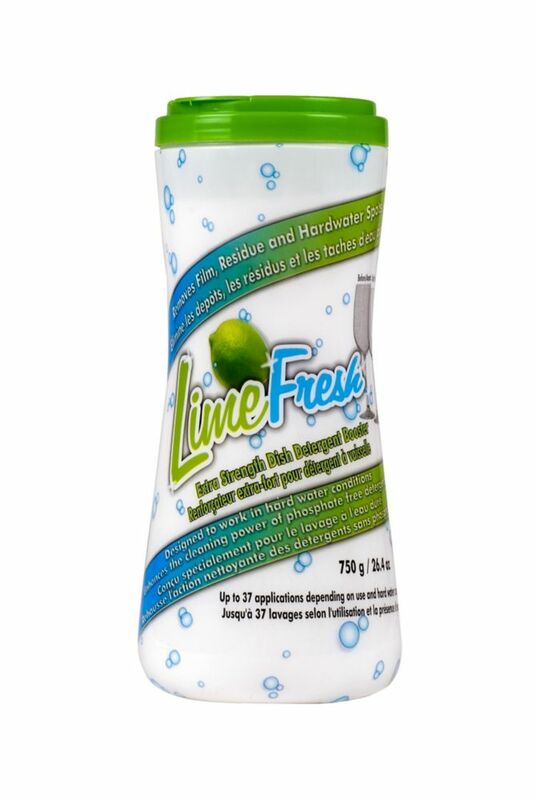 Lime Fresh acts as a powerful shield to prevent the minerals in hard water from attaching to your dishes and glassware and it boosts the cleaning power of your phosphate free detergent. Receive up to 40 powerful applications in a single package and protect your dishes with our Phosphate free, environmentally friendly and biodegradable dish detergent booster. Lime Fresh is septic-tank safe.